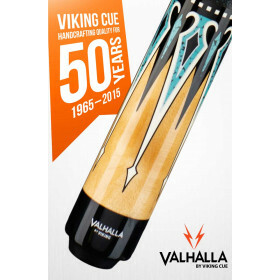 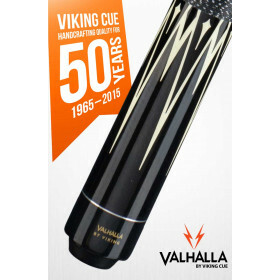 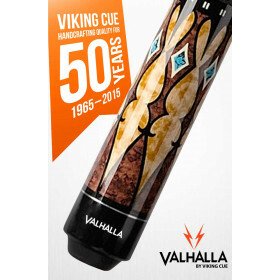 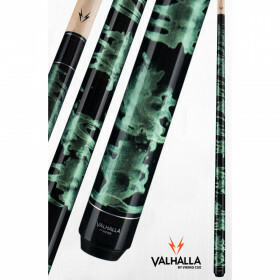 Turn up your game with your own Valhalla pool cue made by Viking Cue. The Valhalla VA104 cue features a fantastic red stain, comes with a lifetime warranty and comes at a price that won't break the bank. 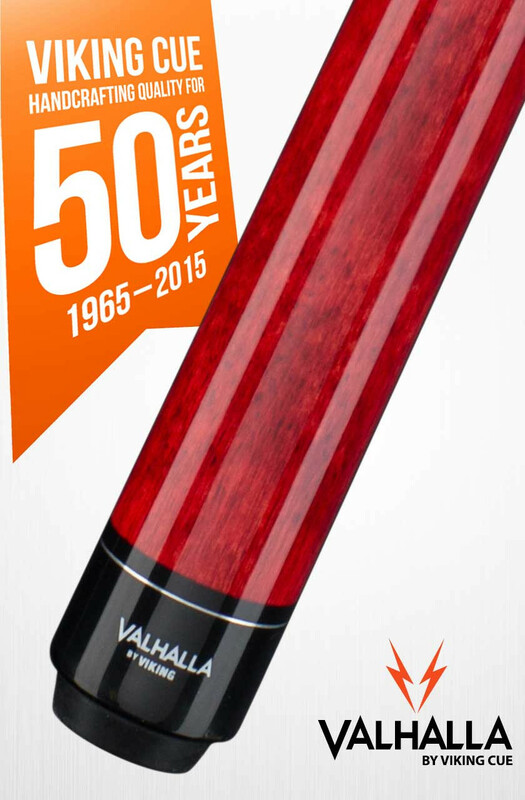 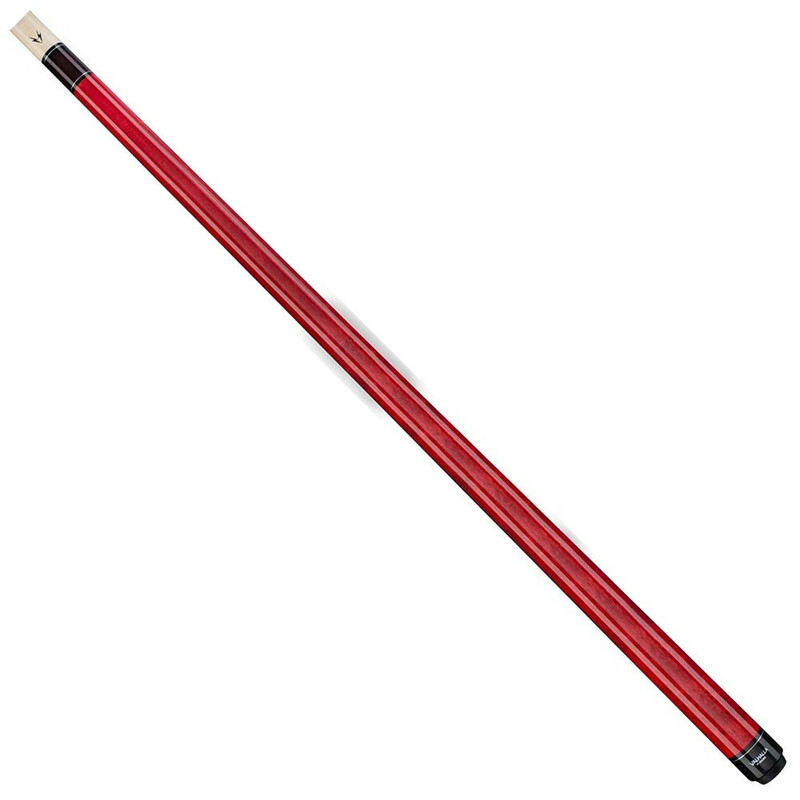 The Valhalla VA104 Red Pool Cue is the perfect stick to get your game on! 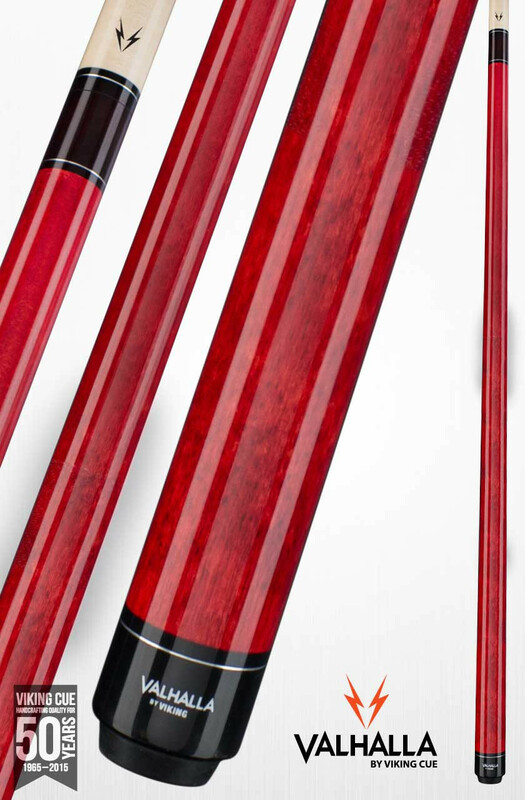 This cue features an incredible red European stain and urethane finish and lets your competition know you mean business. 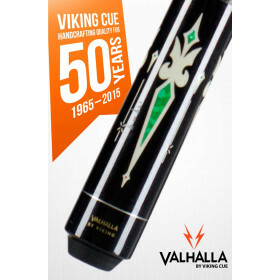 Built with Viking quality, you want have anything to worry about because your new stick is covered by Viking Cue's fantastic LIFETIME WARRANTY, including warpage!